Although you can rarely find him in the same place twice, Assistant Vice President and Commercial Lines Insurance Broker Jeff Stenta is one of the most steadfast, dedicated and personable members of the EHD team. Jeff technically works out of our Pittsburgh office in Cranberry, PA but actually works remotely from his residence in DuBois. 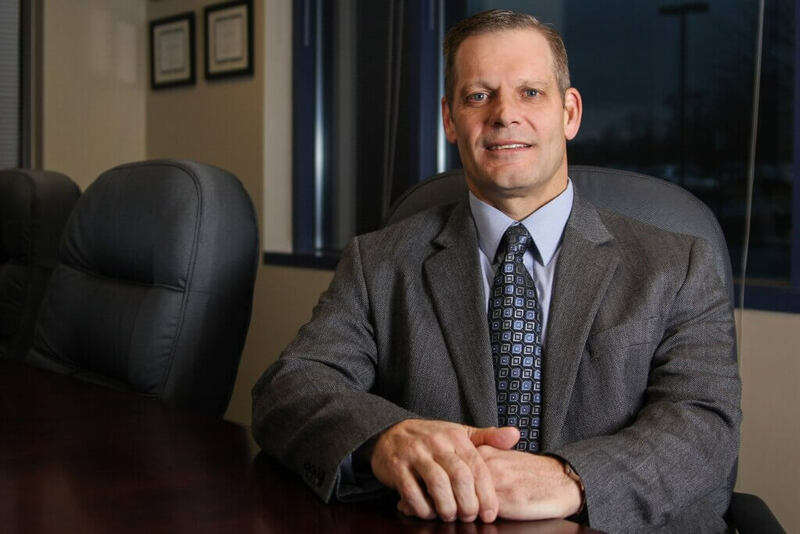 While traveling all over Pennsylvania, and even a few neighboring states, to visit with his clients and prospects, Jeff strives to make a positive impact on everyone he works with- from clients to colleagues. Jeff has a colorful life outside of work. Before starting with PMA insurance in 1993, he tried his hand at professional baseball, playing for the Erie Sailors for one season. Jeff values health and fitness, is very active throughout the year exercising and playing golf and racquetball regularly. He enjoys watching Major League Baseball, Professional Golf and spending time with his friends and family. Jeff Stenta’s day-to-day job activities may differ from the “norm” here at EHD, but that suits him just fine. His trustworthiness, tenacity and attention to detail, impresses his insurance buyers, and enables him to retain his clients long-term. Therefore, while Jeff Stenta is a unique player on the EHD team, he is an essential one, too.